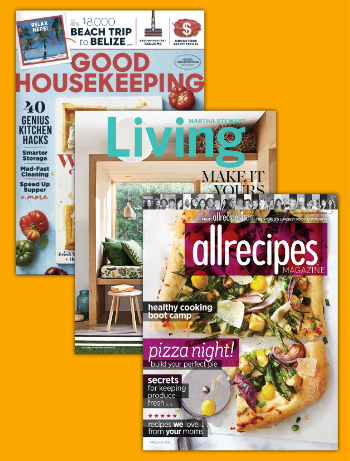 Get more recipes with 3 magazines for $20! Find your new favorite recipes and home decorating ideas with gorgeous, full-color magazines. "This dish has bright flavors and becomes incredibly easy too with the help of a slow cooker! I came up with this recipe with the flavors and style of cooking meat slowly, inspired by my friend from Cuba." 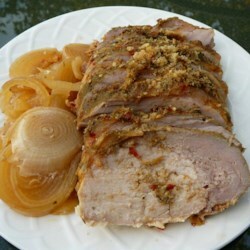 Arrange onion slices in the bottom of a slow cooker; top with pork tenderloin. Sprinkle garlic evenly over onion and pork. Pour orange juice, vinegar, and lemon juice over pork. Sprinkle cumin, grill seasoning, salt, red pepper, bay leaves, and lemon zest over pork. Cover and cook on Low until pork is very tender, 6 to 7 hours. To serve, slice tenderloin into 1 1/2-inch slices, arrange on a platter, and drizzle juices over top.